SELENGE PROVINCE, Mongolia, Jul 19 2013 (IPS) - Tsetseghkorol, a Mongolian herder, stares out nostalgically at the Orkhon River, the longest in the country. *The story moved on Jul. 19, 2013, incorrectly stated that the Oyu Tolgoi copper mine plans to take advantage of the Orkhon River Diversion Project. Mark Newby, water resources principal advisor for the mine, informed IPS that Oyu Tolgoi will not utilise water from the river diversion project for its operations. You might wish to go back and check your sources. Just about any that happens in Mongolia at present and Oyu Tolgoi seems to crop up in some connection or other. 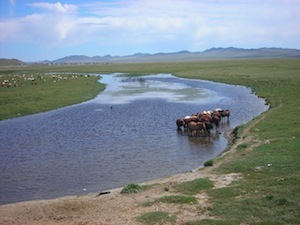 Having come across a water engineer working on Oyu Tolgoi, I was told that the deep aquifer being used by the mine is non-potable and therefore the suggestion that local herders are being deprived of surface potable water is nonsense. The second point is that all water used in processing at Oyu Tolgoi is treated and recycled for further use so, again, the suggestion that surface water is being consumed in vast quantities by the mine is woefully inaccurate. Did you make any effort at all to contact Rio Tinto/Oyu Tolgoi or do you simply repeat verbatim any old accusation without fact checking first? It does not state that Oyu Tolgoi will take part in the diversion. It states that feasibility reports note this (which they do as one can easily see online). Maps on reports connect Oyu Tolgoi with the diversion project. I believe that this is why Oyu Tolgoi is incorrectly connected with the project. In my original version submitted to the editor, there was a quote from Mark Newby (who I interviewed) to clarify that OT would not take part in the project. Unfortunately, that part was cut from the final version (and an editorial mistake was made which was immediately retracted). But the water shortage is real in the Gobi and refers to ALL mines. Fortunately OT has the saline aquifer, which is noted in the story. 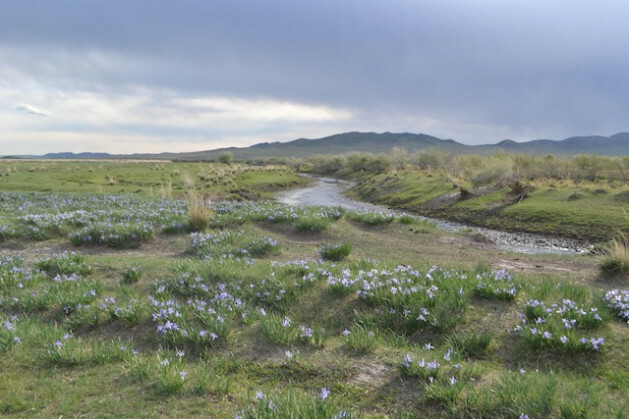 Feasibility studies and press releases for OT Watch NGO state increased population from mining activities connected with Oyu Tolgoi will swell the size of nearby Khanbogd. The saline aquifer will not cover this population, which is another reason why OT is continuously connected with the river diversion project in reports. How that will be handled is still being decided. I regret that editorial changes to my original story do not show this clearly.